Have you ever tried the quilt as you go method? Rather than first finishing your quilt top and then layering your quilt sandwich, you piece, sandwich, and quilt a project simultaneously. This method works particularly well for small projects, so we’ve compiled a collection of small quilt projects for your quilt as you go inspiration! 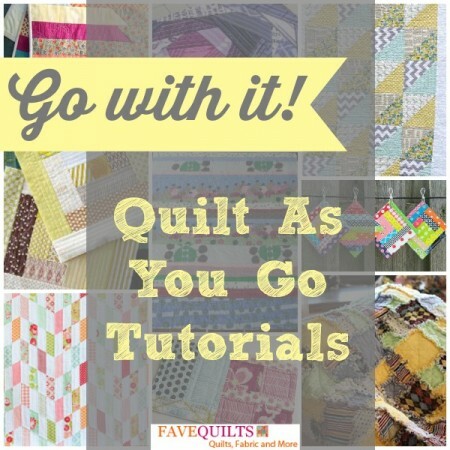 First, learn how to quilt as you go with some of the fantastic tutorials we have on FaveQuilts! This Quilt As You Go Video Tutorial will make you an expert in no time. 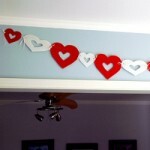 This video demonstrates the quilt as you go method for a holiday table runner. The project comes together quickly and beautifully! 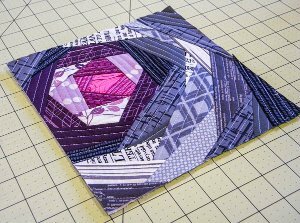 Also, be sure to check out the Quilt As You Go: Strip Quilting Video Tutorial and the Quilt As You Go: Joining the Blocks tutorial as well. Quilt as you go blocks come together beautifully. When you use this method for your quilt blocks, the full quilt is a cinch to piece together! 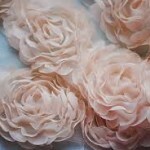 This Bloomin’ Quilt as You Go Block is an excellent option. Floral quilts never go out of style, and this is one you definitely should try! Once you become an expert at the quilt as you go method, make one of these stunning quilt projects! Strip quilts are definitely the go-to style, but you’ll find an array of quilt as you go tutorials below! For more fantastic Quilt As You Go ideas, visit our new collection of Quick Quilts: 15 Quilt As You Go Tutorials and Quilt As You Go Blocks. Enter to win three wonderful quilt pattern books from Martingale: Animal Parade, Strip-Smart Quilts II, and Scrap-Basket Beauties. The deadline to enter is May 31th at 11:59:59 p.m. Eastern Time. 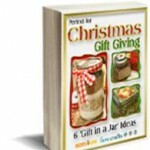 Martingale/That Patchwork Place is known for high-quality products. Animal Parade, Strip-Smart Quilts II, and Scrap-Basket Beauties certainly live up to that reputation. The books are each laid out in clear, easy-to-follow formats, with high-resolution photographs that make following a pattern a snap. 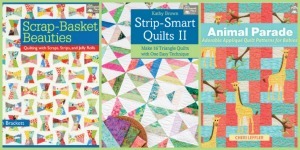 These are absolute must-have additions to any quilter’s library! Have you ever tried the quilt as you go method? My first quilt was a quilt as you go. I found it a great start. 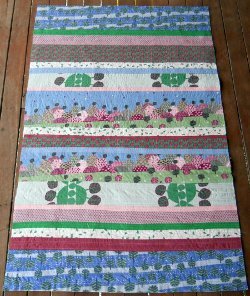 I made a QAYG quilt many years ago when I first started quilting, but it would be helpful to have a video on how to join QAYG blocks into rows and rows into a quilt to jog my memory. I know there’s a trick, but can’t remember it now as it was so long ago.